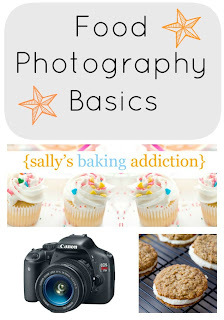 This article on Sally's Baking Addiction is truly fantastic. If you want to improve your food photography you should have a look at it. Oh man, I never take pictures of food. As a diabetic, I try to stay away from the good stuff! Thank you for this-there is an art to food photography. Get started with Bloglovin' right now!